Fractional crystallization, or crystal fractionation, is one of the most important geochemical and physical processes operating within the Earth's crust and mantle. 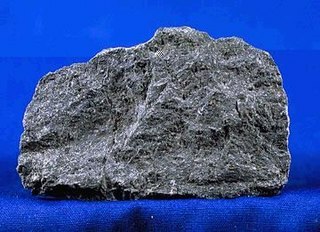 It is important in the formation of igneous rocks because it is one of the main processes of magmatic differentiation. Fractional crystallization is also important in the formation of sedimentary evaporite rocks. Evaporite is the term for a water-soluble mineral sediment that results from concentration and crystallization by evaporation from an aqueous solution. There are two types of evaporite deposits: marine, which can also be described as ocean deposits, and non-marine, which are found in standing bodies of water such as lakes. Evaporites are considered sedimentary rocks and are formed by chemical sediments. In materials science, segregation refers to the enrichment of atoms, ions, or molecules at a microscopic region in a materials system. While the terms segregation and adsorption are essentially synonymous, in practice, segregation is often used to describe the partitioning of molecular constituents to defects from solid solutions, whereas adsorption is generally used to describe such partitioning from liquids and gases to surfaces. The molecular-level segregation discussed in this article is distinct from other types of materials phenomena that are often called segregation, such as particle segregation in granular materials, and phase separation or precipitation, wherein molecules are segregated in to macroscopic regions of different compositions. Segregation has many practical consequences, ranging from the formation of soap bubbles, to microstructural engineering in materials science, to the stabilization of colloidal suspensions. Fractional crystallization in silicate melts (magmas) is complex compared to crystallization in chemical systems at constant pressure and composition, because changes in pressure and composition can have dramatic effects on magma evolution. Addition and loss of water, carbon dioxide, hydrogen, and oxygen are among the compositional changes that must be considered. For example, the partial pressure (fugacity) of water in silicate melts can be of prime importance, as in near-solidus crystallization of magmas of granite composition. The crystallization sequence of oxide minerals such as magnetite and ulvospinel is sensitive to the oxygen fugacity of melts, and separation of the oxide phases can be an important control of silica concentration in the evolving magma, and may be important in andesite genesis. Carbon dioxide is a colorless gas with a density about 60% higher than that of dry air. Carbon dioxide consists of a carbon atom covalently double bonded to two oxygen atoms. It occurs naturally in Earth's atmosphere as a trace gas. The current concentration is about 0.04% (410 ppm) by volume, having risen from pre-industrial levels of 280 ppm. Natural sources include volcanoes, hot springs and geysers, and it is freed from carbonate rocks by dissolution in water and acids. Because carbon dioxide is soluble in water, it occurs naturally in groundwater, rivers and lakes, ice caps, glaciers and seawater. It is present in deposits of petroleum and natural gas. Carbon dioxide is odorless at normally encountered concentrations. However, at high concentrations, it has a sharp and acidic odor. Experiments have provided many examples of the complexities that control which mineral is crystallized first as the melt cools down past the liquidus. The liquidus temperature, TL or Tliq specifies the temperature above which a material is completely liquid, and the maximum temperature at which crystals can co-exist with the melt in thermodynamic equilibrium. It is mostly used for impure substances (mixtures) such as glasses, alloys and rocks. One example concerns crystallization of melts that form mafic and ultramafic rocks. MgO and SiO2 concentrations in melts are among the variables that determine whether forsterite olivine or enstatite pyroxene is precipitated, but the water content and pressure are also important. In some compositions, at high pressures without water crystallization of enstatite is favored, but in the presence of water at high pressures, olivine is favored. Granitic magmas provide additional examples of how melts of generally similar composition and temperature, but at different pressure, may crystallize different minerals. Pressure determines the maximum water content of a magma of granite composition. High-temperature fractional crystallization of relatively water-poor granite magmas may produce single-alkali-feldspar granite, and lower-temperature crystallization of relatively water-rich magma may produce two-feldspar granite. During the process of fractional crystallization, melts become enriched in incompatible elements. Hence, knowledge of the crystallization sequence is critical in understanding how melt compositions evolve. Textures of rocks provide insights, as documented in the early 1900s by Bowen's reaction series. An example of such texture, related to fractioned crystallization, is intergranular (also known as intercumulus) textures that develop wherever a mineral crystallizes later than the surrounding matrix, hence filling the left-over interstitial space. Various oxides of chromium, iron and titanium show such textures, such as intergranular chromite in a siliceous matrix. Experimentally-determined phase diagrams for simple mixtures provide insights into general principles. Numerical calculations with special software have become increasingly able to simulate natural processes accurately. Fractional crystallization is important in the formation of sedimentary evaporite rocks. ↑ Wilson B.M. (1989). 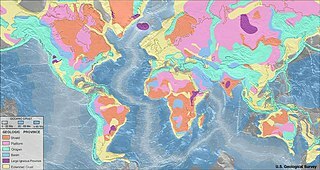 Igneous Petrogenesis A Global Tectonic Approach. Springer. p. 82. ISBN 9780412533105.